I think I would die from happiness if there were a local cupcakery in Dunedin. Man, go on Liz, open one up in your last three weeks down here... at least have a stall at the farmer's market! This desire for scrummy cupcakes was brought on by a post I read on OhJoy! 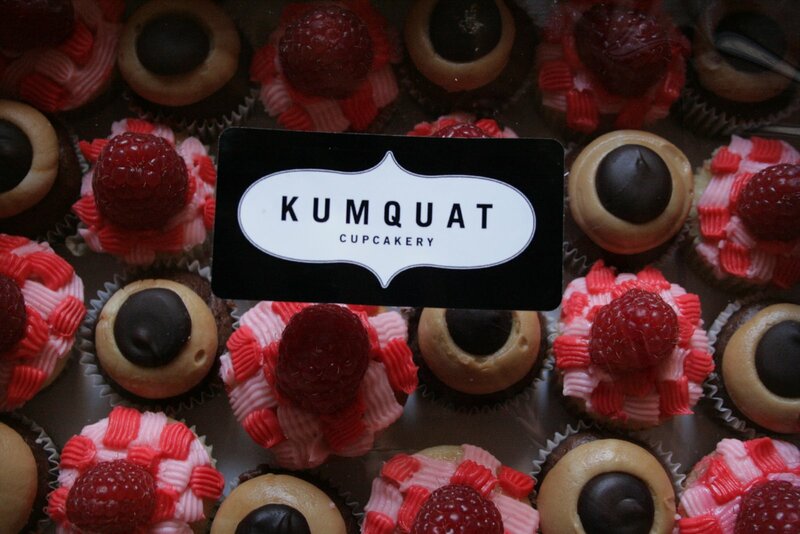 about Kumquat Cupcakery in Brooklyn. They sell their gorgeous wee cupcakes at flea markets, fairs and the like and they look like heaven in a delicious mouthful of cake and frosting! Check out their blog for more mouthwatering photos. Thanks so much for that link Luci! I spent the longest time gazing at those cupcakes - not to mention the beautiful photos of the market. New York looks so other worldly.